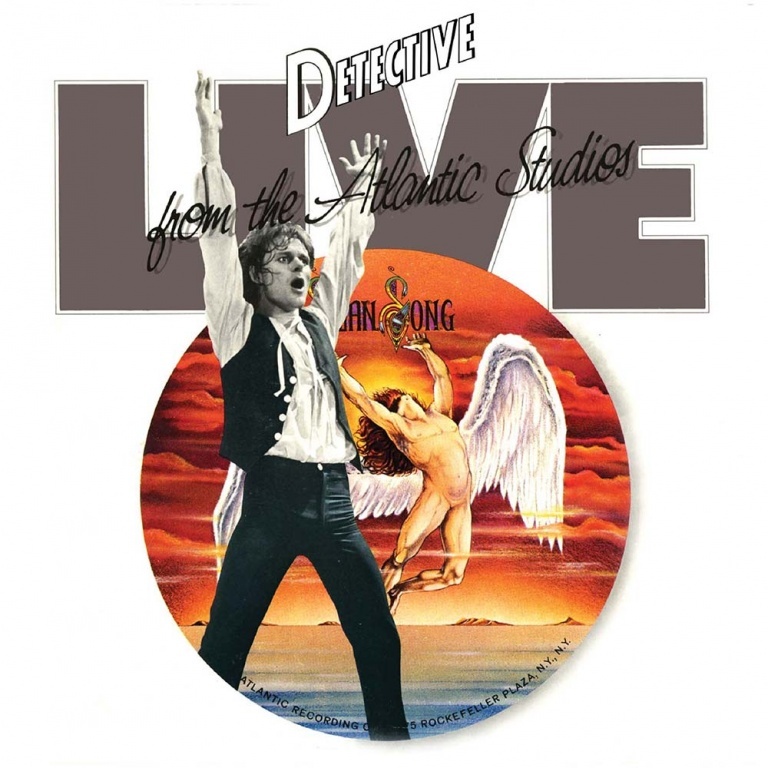 “Live From The Atlantic Studios” by DETECTIVE ft. Michael Des Barres remains a fitting testament to the short-lived band. Originally issued in 1978, but never officially made available commercially, this is the very first time this album has been legitimately released on CD. •	“LIVE FROM THE ATLANTIC STUDIOS” was a short lived, promo only series of in concert albums, recorded live before a small, invited audience. In fact, this series of now highly collectable releases, produced to be played just on the radio, only lasted three albums; by AC/DC, The Le Blanc & Carr Band, and short lived Swan Song hard rockers, Detective. •	Fronted by Michael Des Barres, Detective featured Michael Monarch on guitars, Tony Kaye on keyboards, Bobby Pickett on bass and Jon Hyde on drums. No slouches, after signing to Led Zeppelin’s own imprint, Swan Song, they released both of their only two LPs in 1977. •	Des Barres had previously cut his teeth with Deep Purple protégés Silverhead, a London based band that recorded two LP for Purple Records in 1972 and 1973. Where Silverhead could be seen as the bridge between early 70s glam rock and 80s style hair metal, Detective were firmly based in the gutters of LA and the clubs of Sunset Strip. •	Where Detective really shone was on stage, and this is self-evident on “Live From The Atlantic Studios”, even before a very small, invited audience, a world away from the enormodomes that the band had been playing in support of their first two LPs as guests of the likes of KISS. •	Although the Swan Song Icarus logo appears proudly on the cover, the LP demonstrates the growing interest parent label Atlantic had in developing the band, even going so far as to bring famed producer Tom Dowd on board to produce the proposed third album. •	“Live From The Atlantic Studios” remains a fitting testament to the short-lived band. Originally issued in 1978, but never officially made available commercially, this is the very first time this album has been legitimately released on CD.